Accessories play a very big role in style — it sends a message, gives an outfit character, and adds texture. Attracting lots of attention this Spring, I plan on taking my style to a more diverse level by wearing vibrantly fun statement earrings. There’s been a sudden switch in my choice of jewelry and my bold, heavy necklaces are officially locked away. 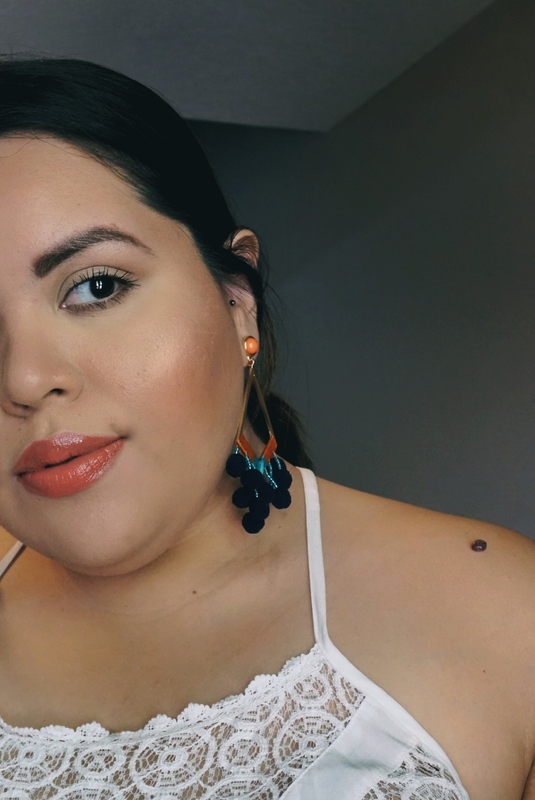 I’ve set my everyday pearl stud earrings aside and giving my ears a new personality, they deserve a bit of playtime. 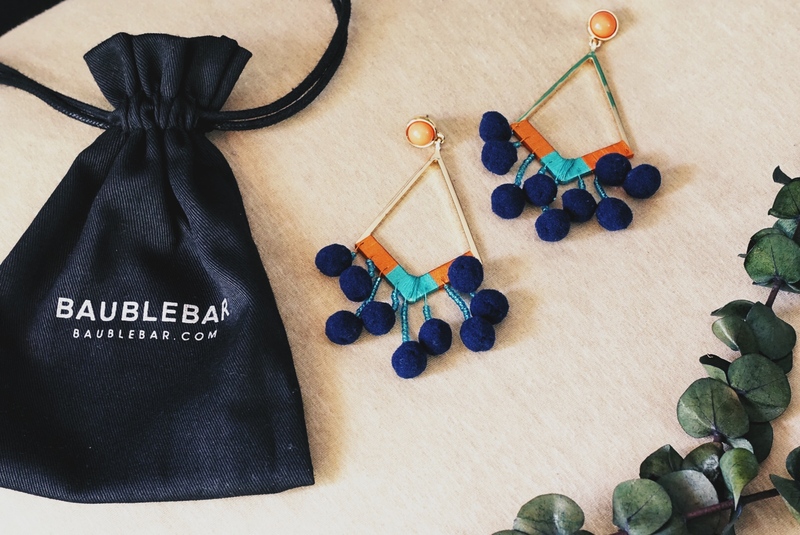 Speaking of playtime, here are my first pair of colorful statement earrings: these Baublebar Solange Pom Poms. They’re different, fun to wear, and they make you want to prance around in dresses and off-the-shoulder tops. Although I do change up my earrings between oversized hoops, chunky jewels or studs I had never dove into a pair like these. 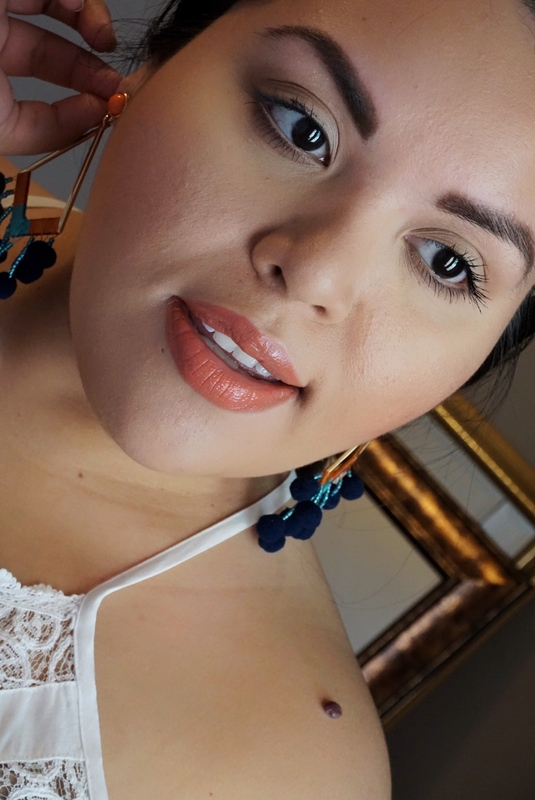 I like to keep the rest of my jewelry (around my face) simple and wear a top (like this) that bares my neck and shoulders to avoid obstructing character. 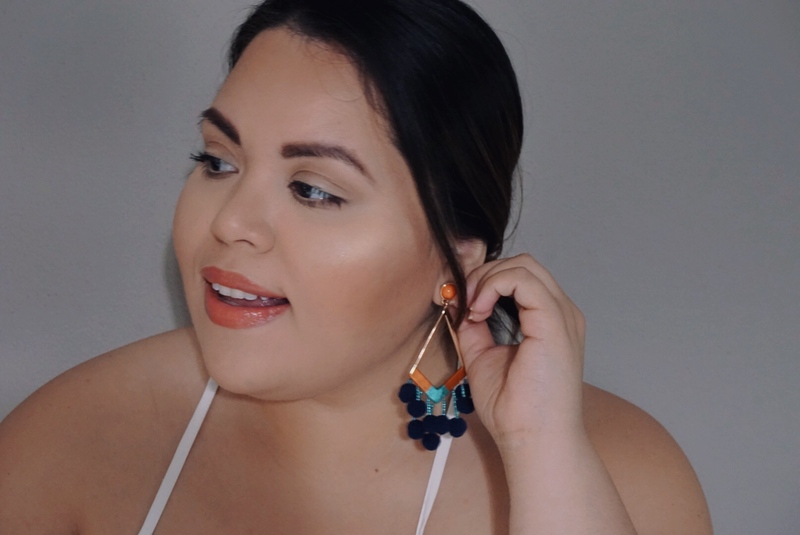 Statement earrings (like this pair) make me feel even sassier and so youthful! Something about the color combo and texture play that adds a radiant and joyful element when wearing them. 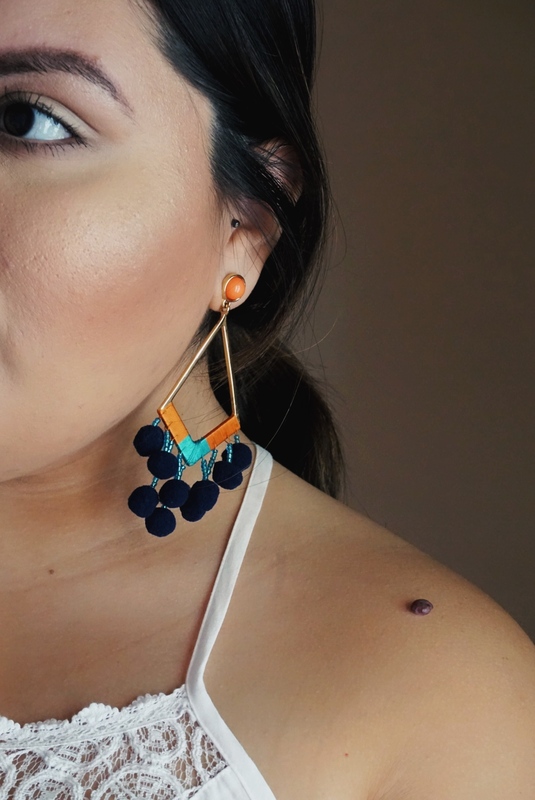 Say it with me: statement earrings. How would you wear ’em?